Is It Still Possible To Do A Handbrake Turn With An Electronic Parking Brake? The owner of this Porsche 911 finds out for us. Curiosity kills the cat, right? But our natural need to inquire about things is what drives the engine of innovation, so it wasn’t long until we saw videos surface online of drivers trying to experiment with the newest electronic parking brakes to . The only mechanical systems were the highlights of our teenaged driving experiences given that a swift pull promptly locked up the rear tires, allowing for all sorts of fun sliding acrobatics. Unfortunately, it seems that once again, thanks to the increasing amounts of responsibility we give a car’s computer, fun has been engineered out of the system. With a mechanical handbrake, it was easy to modulate braking force at the rear, giving us the chance to use the E-brake to slow a car without the brake lights coming on. That tactic, used to keep the cop who just showed up in your rear view mirror from knowing you're slowing down from a high speed, is now off the table, but what about the handbrake turn? Thankfully YouTuber and Porsche 911 owner Nick Murray is as curious as we are. 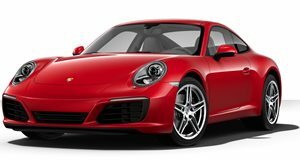 Automakers, especially Porsche, would wager that there’s no need for a handbrake turn to have fun in their cars, but we’d retort by pointing out that it’s what every getaway driver does in a bank heist movie. Even Ken Block uses an E-brake liberally to help him pick and choose points where he wants traction to break. As we find out thanks to Murray's daring experiment, pulling off this trick is still possible although it takes some finesse.